Skype is one of the most popular VoIP service offered by Microsoft which is used by millions of people all around the globe. If you are a Windows user and ever wondered how to remove chat history (conversation) for a single contact, this article will help you. Skype for Desktop does not give any option to do so. To do this, you must be familiar with Skype for Windows and how does it store data. 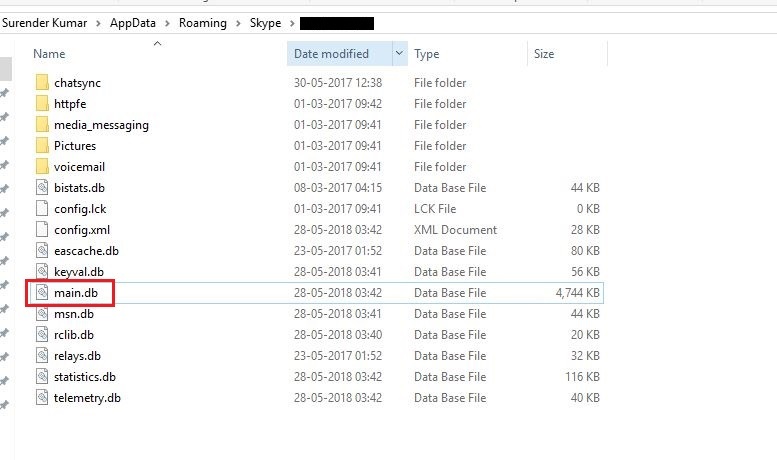 Where <SkypeID> is a folder with your own Skype username. 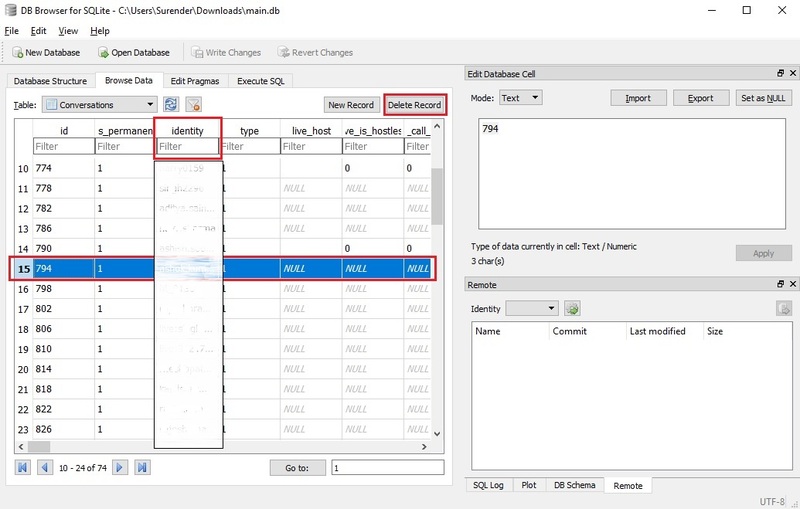 Since the main.db is a SQLlite database file you can use a free tool available for download at https://sqlitebrowser.org. Using this tool, you can access and modify the information inside this database file. Just download the tool and install it on your computer. A File Explorer will open up. Look for a folder named with your skype username, go inside that folder. Here you’ll see a lot of files and directories but you’re interested in a file named “main.db”. 3. Copy this file and place it somewhere as a backup in case something goes wrong, we can restore it. 4. Open this main.db file with SQLite Browser. To open this file, just drag and drop the main.db file to SQLite Browser Windows or navigate to File menu and select Open Database option. 5. 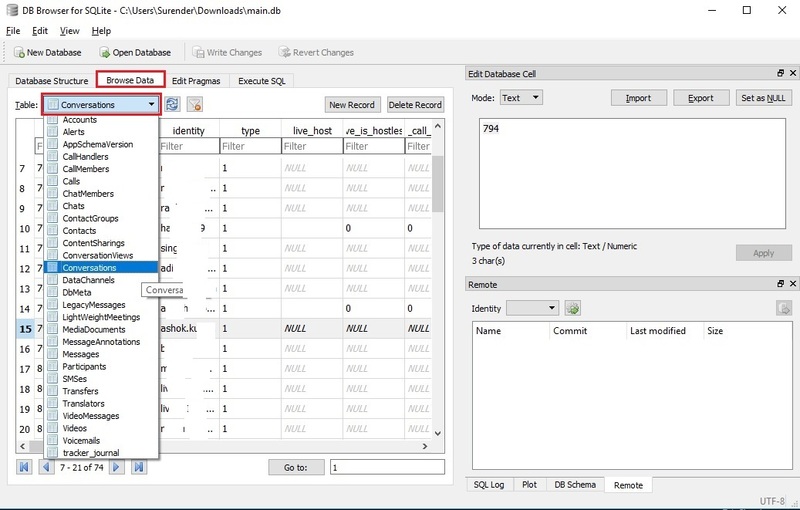 In SQLite Browser, select Browse Data tab, and under Table drop down menu, select Conversation. 6. You will see the conversations stored within the database related to each user in your contacts. In Identity column, you can see the username of person. This will help you identify the person whose conversation you want to remove. To remove a conversation, all you need to do is click on the record number in the beginning. This will highlight the record. Now click the Delete Record button available on the top right corner. You can highlight and delete multiple records in a similar way. 7. After deleting the records, click Ctrl + S or select Write Changes option under File menu. Now you can close the SQLite Browser. 8. Now, open your Skype and verify that conversation with that particular contact must be gone.